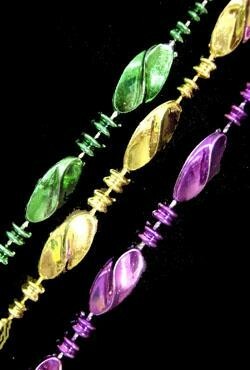 42in long necklace with 12mm purple, green, and gold, spacers. 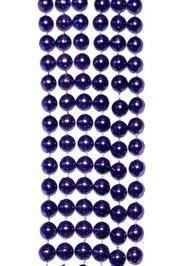 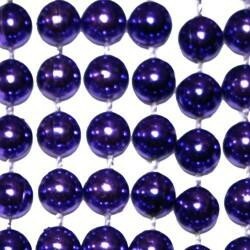 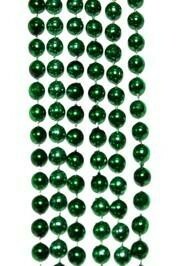 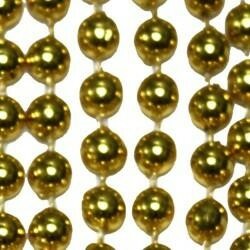 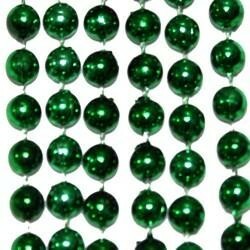 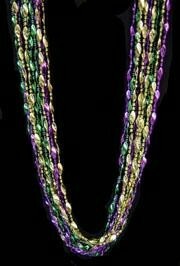 This hand-strung bead hangs about 20in. 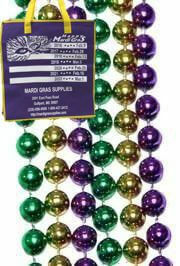 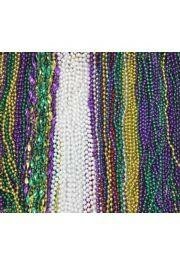 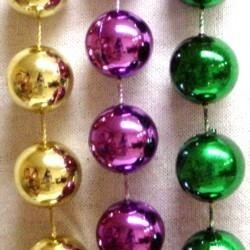 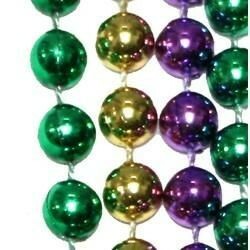 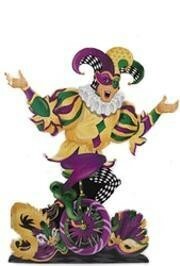 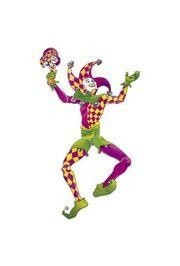 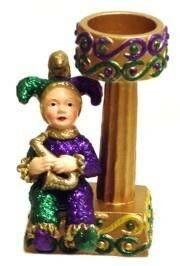 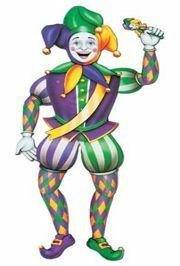 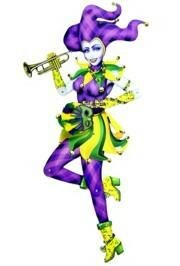 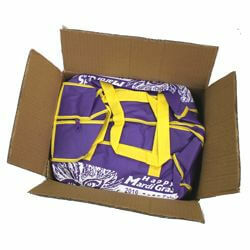 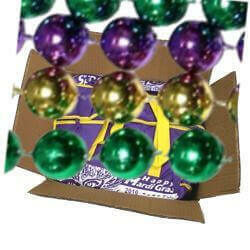 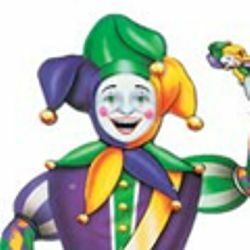 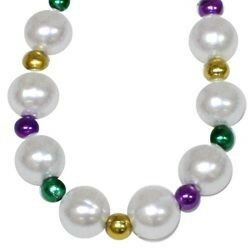 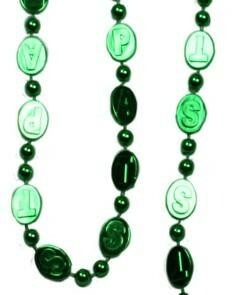 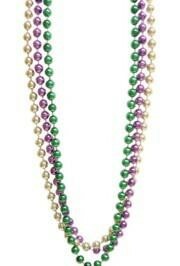 It is perfect for Mardi Gras parades. 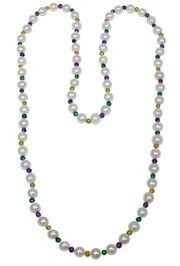 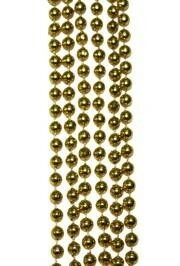 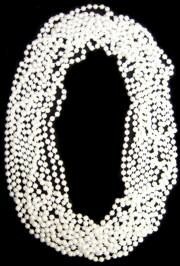 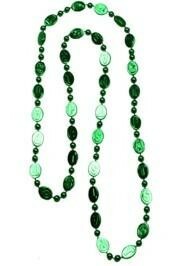 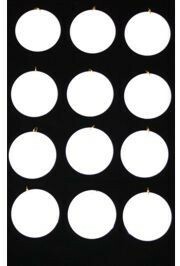 The white pearl beads make it more elegant than the average throw bead.